New York, USA | October 24, 2018– JetBlue, New York’s Hometown Airline, announces the appointment of William Cade as the carrier’s new vice president, technical operations. Cade joins JetBlue early next month to oversee the airline’s maintenance, materials, quality, engineering and technical purchasing functions. He will be based in Long Island City, N.Y., and report to Warren Christie, JetBlue’s senior vice president, safety, security & fleet operations. A 30-year industry veteran, Cade most recently served as vice president, base technical operations for American Airlines, responsible for multiple heavy maintenance bases along with global heavy maintenance vendor and support shop operations. Cade has held several leadership roles at American serving as technical operations managing director for various regions for over 15 years. Prior to American Airlines, Cade worked at Trans World Airlines holding numerous positions, including director maintenance in Los Angeles. Cade began his aviation maintenance career with Pan American World Airways as a sheet metal mechanic and is a licensed Airframe and Powerplant (A&P) technician. Raunheim | November 29, 2017– Lufthansa Systems today announced that Russian airline Ural Airlines will optimize its flight operations and navigation processes using several IT solutions from Lufthansa Systems. The two companies recently signed a long-term contract to this effect. Ural Airlines has opted for NetLine products for schedule management (NetLine/Sched), crew management (NetLine/Crew) and flight operations control (NetLine/Ops ++). Additionally, the carrier will plan its flight operations with the Lido/Flight 4D flight planning solution. NetLine/Sched covers all processes for medium- to short-term flight scheduling.NetLine/Ops ++ monitors Ural Airlines’ flight operations. With this solution, the airline can avoid and manage disruptions and significantly reduce delay costs. NetLine/Crew supports Ural Airlines in the full crew management process from planning to crew assignment and tracking. The NetLine products are fully integrated, which allows close synchronization between scheduling and crew planning, as well as flight operations and crew tracking. Using the NetLine products will enable Ural Airlines to schedule flights more precisely, deploy crews more efficiently, respond more quickly to irregularities and thus improve on-time performance and lower costs. France | November 1, 2017–An evolving multi-link ACARS landscape, embracing cutting-edge cockpit connectivity and solid VHF foundations, will remain the backbone of the aviation industry for the foreseeable future. 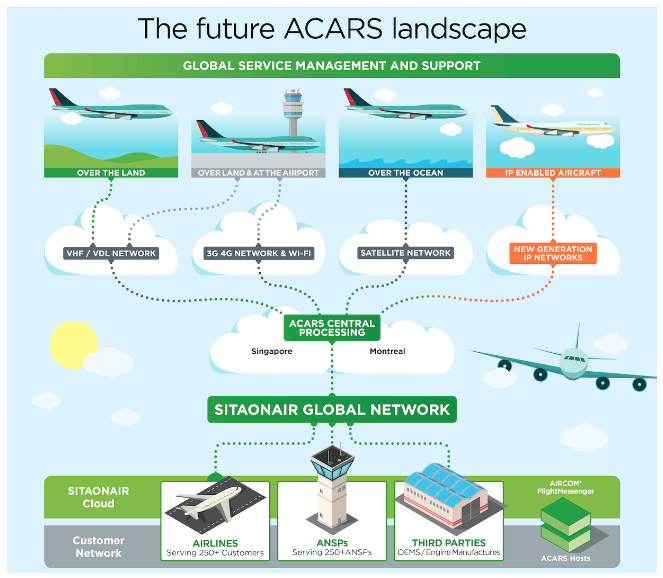 So saysSITAONAIR, global leader in aviation operational and ATC communications, in its latest white paper, ACARS: Timeless tech for the connected aircraft age. To explore the SITAONAIR connected aircraft portfolio, visit www.sitaonair.aero, speak to your local SITAONAIR contact orsubmit an enquiry form online. Chicago, IL | June 9, 2017–Boeing [NYSE: BA] today appointed Jenette Ramos, a 29-year Boeing veteran with executive leadership roles in fabrication, supplier management, and environment, health and safety, as senior vice president, Supply Chain & Operations, effective immediately. Ramos, 51, replaces Pat Shanahan, who has been nominated to serve as U.S. Deputy Secretary of Defense. Ramos, most recently vice president and general manager of Fabrication at Boeing Commercial Airplanes, now will oversee the company’s Manufacturing Operations and Supplier Management functions, including implementation of advanced manufacturing technologies and global supply chain strategies. She also leads Boeing’s Environment, Health & Safety organization. She joins the Boeing Executive Council and reports to Boeing Chairman, President and CEO Dennis Muilenburg. As leader of Fabrication at BCA since 2014, Ramos led a global operation of more than 17,000 employees that serves as the largest manufacturing partner to all Commercial Airplanes programs. In that role, she integrated businesses at 11 sites world-wide that design and manufacture composite, metal, electrical and interior aerospace parts, tools and assemblies. She also served on the Executive Steering Team of the Boeing employee workplace safety initiative. Prior to leading Fabrication, Ramos was vice president, Operations Supply Chain Rate Capability at Commercial Airplanes, where she led efforts to develop suppliers and to manage the value stream system for production readiness through a number of production rate increases across the commercial airplane product line. From 2005 to 2009, she served as general manager of the Boeing Portland site. Previous assignments include director of Safety, Health and Environmental Affairs, where she was responsible for governance and processes at multiple Boeing facilities in the United States and Canada. Ramos began her career in 1988 at the Boeing Renton plant as an environmental engineer in the Facilities organization. She is a graduate of the Harvard Business School Advanced Management Program, and she earned a master’s degree in business from Seattle Pacific University and a bachelor’s of science degree from Washington State University. Shanahan, a 30-year veteran of the company, held executive leadership programs across the enterprise. Prior to his most recent position, he served as vice president/general manager of Airplane Programs at Commercial Airplanes, where he oversaw management of the 737, 747, 767, 777 and 787 production programs. He also previously led the missile defense and rotorcraft organizations within Boeing Defense, Space & Security. A total of 450 airline experts are attending one of the world’s largest airline IT user conferences to find out about the latest innovations in the digital world of aviation. Raunheim, Germany | May 8, 2017– “Spice IT up! – Digitalization and beyond” is the motto of the Lufthansa Systems Airline Forum, which starts today. A total of 450 participants from around 80 airlines worldwide will learn about the latest developments in the portfolio of the airline IT specialist. The focus is on Commercial Planning and Operations solutions from the NetLine and ProfitLine product lines. “This industry meeting, which is traditionally held in the Lufthansa Training & Conference Center in Seeheim, is one of the most important events in the airline IT sector,” said Ulrike Behrens, Head of Marketing at Lufthansa Systems, who organizes the Airline Forum. Lufthansa Systems advises and supports airlines in their digital transformation. The aviation IT experts show what sustainable airline processes can look like and provide hands-on support to customers in implementing their projects. The keynote speech will be held by Lufthansa CIO Dr. Roland Schuetz. Other customers will also have the opportunity to speak and report on successful projects, including United Airlines and the Israeli airline EL AL. The next two and a half days will be devoted to some 80 lectures and workshops as well as personal conversations with product experts and other airlines. Attendees can put together their own individual program from a comprehensive range of topics. The focus will be on new product developments and innovations in the NetLine and ProfitLine product lines, which will be introduced by experts from Lufthansa Systems and its industry partners. Automation and integration are key aspects in this context. Modern technologies make it easier to collect and evaluate data in order to identify anomalies and automatically learn from them or carry out certain actions. But it is also increasingly important for IT solutions – especially in the field of operations – to be able to share this data and interact with one another in order to make the best decisions and optimize processes. Communication also plays an essential role in the digital world. It should be fast, simple and possible from anywhere. Mobile solutions and a user-friendly layout help meet these demands. “At the Airline Forum, we present new industry trends and product portfolio developments to our customers. We also want to talk with them about market challenges, new technologies and smart solutions for their specific requirements,” said Stefan Auerbach, CEO of Lufthansa Systems. The Market Place provides plenty of room for this dialog. This is where Airline Forum participants can try out the product innovations for themselves right after the sessions. Their feedback is critical to the further optimization of Lufthansa Systems’ products. Washington DC | March 6, 2017– Cobham has introduced a new disruptive technology platform for its expanded line of Sea Tel land-based tracking antennas. Designed as an enabler for the new breed of emerging high throughput LEO/MEO constellations that leverage cutting-edge CubeSat and SmallSat spacecraft, Cobham’s new tracking antennas lower the total cost of ownership by significantly reducing power consumption, in addition to delivering tangible savings on deployment and maintenance. Uniquely, Cobham’s next generation solution is delivered as a complete, integrated system including radome, antenna controller, feeds and customer specific RF (BUC and LNB) in addition to a built-in auto-tracking feature, improving link performance and contributing to higher throughput and availability of service for the end-user. Currently available for L, S, C, X, Ku, Ka and E-band with antenna reflector sizes between 60 cm to 6 m, Cobham’s new Tracker range has re-written the land-based tracking antennas rulebook. Developed from the bottom up to merge over 20 years of Sea Tel land tracking antenna experience with Cobham’s cutting-edge maritime antenna stabilisation technology, the life-time cost savings facilitated by the new Tracker series supports established network operators and venture-funded start-ups to deliver even more competitive high-throughput satcom services for diverse users. Cobham has also addressed the traditional long lead time to delivery in the land-based tracking antenna segment, committing significant capacity to supporting mobility and growth in the LEO/MEO markets. Headlining the unique new Sea Tel Tracker product line feature-set is Cobham’s new 3-Axis Zero Gravity technology for land antennas, which balances the entire system to deliver a step-change in power consumption for Cobham customers. The solution co-locates the antenna’s centre of gravity with its centre of rotation, resulting in an effortless track that requires almost no power. Regardless of size, all new Sea Tel Tracker antennas consume just 200 Watts, with further saving possible through the use of a 500-Watt back-up generator, compared to the >5KW back-up generator needed for competing antennas. A 90% reduction in capital outlay to provide power infrastructure can be achieved, while an 87%1 power consumption saving is typical. The Cobham development team has considered all aspects of the total cost of ownership for the new Sea Tel Tracker range resulting in even more savings, including on the cost of site preparation and antenna deployment. Traditional land tracking antennas of over five meters in size require substantial foundations (up to 15ft) in order to ensure the antenna can operate and survive in high winds as well as negate shift in the base over time as the foundation settles. Due to the perfect balance of the system, Cobham’s new tracking antennas can operate in winds up to 155 mph, installed on just a 12 inch thick concrete grade pad with minimal rebar. They can even be installed temporarily on a bed of gravel while still maintaining a strong link to the network. This is achieved by automatic calibration routines which compensate for the movement of the base over time. Further life-time cost savings for LEO/MEO network operators have been achieved by simplifying and reducing the requirements for on-site maintenance. Uniquely designed as a single unit, housing all components in the radome itself, the Sea Tel Tracker product line provides industry-leading Mean Time Between Failures (MTBF), so fewer engineer visits are required during the antenna’s lifecycle. Cobham’s sophisticated system design and intelligent component selection has simplified the overall system architecture, so many standard maintenance tasks take less than an hour, while many service issues can be handled remotely. Singapore | October 25, 2016– Panasonic Avionics (Panasonic) has today announced the launch of ZeroTouchTM service- its unique and innovative service that simultaneously gives airlines real-time visibility into performance, improves the efficiency of its maintenance operations and also enables data transfer of passenger-facing content to an aircraft to improve the passenger experience. The ZeroTouch Service Vision: Panasonic’s ZeroTouch service will reduce an airline’s need to physically touch the aircraft because all interactions are managed through a virtual dashboard. By providing access to real-time passenger data, software, media and content updates can be data-driven, helping to deliver a relevant and personalized passenger experience. Updates will be sent to an aircraft via three high-speed pipes – Wi-Fi at the gate, aircraft cell modem, or even in flight using Panasonic’s global broadband eXConnect service. When combined with dynamic content updates, the ZeroTouch service will offer an improvement from an airline’s traditional 30-day media update cycle by enabling live updates to data and files stored on a Panasonic inflight entertainment and communications system. Applications such as movies, games, advertising, live news, and more will be automatically loaded at any time, over any available communications pipe to an entire fleet. Strategic planning also will be made easier through the actionable insight solution provides. Airlines are presented with both a detailed picture of their aircraft and a broader overview of their fleet. This allows more informed decisions to be made in media consumption, system health monitoring, aircraft maintenance, and much more. The service automatically downloads critical operational data during flight meaning maintenance teams are notified of upcoming tasks and are able to prepare solutions prior to landing. ZeroTouch Service Deployment Timeline: Today Panasonic is in Phase One of its ZeroTouch service initiative, and is already delivering payloads of up to 700 Megabytes to aircraft over cell modem and its eXConnect service multiple times per day. 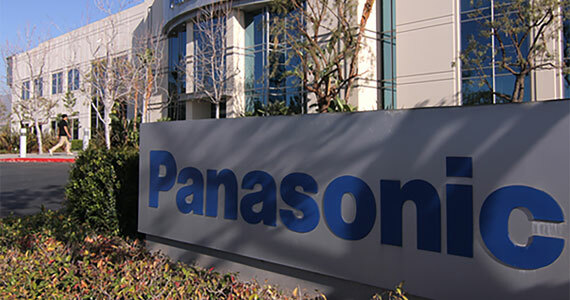 By the third quarter of 2017, Panasonic will enter a Phase Two trial, which will leverage a new, more robust and more efficient core infrastructure and an enhanced management console. During this time frame, the company will also introduce the Enhanced Cell Modem with advanced Wi-Fi capabilities that will open up a third communications pipe to the aircraft. Los Angeles, CA | September 6, 2016– Global Eagle Entertainment, Inc. (NASDAQ: ENT) (“GEE”), a worldwide provider of end-to-end connectivity and media to the airline, maritime and remote mobility markets, today announced Alaska Airlines, which has been ranked the No. 1 U.S. airline by The Wall Street Journal on key operational and customer metrics for two years in a row, awarded a contract to GEE for its Masflight Enterprise Data Warehouse. GEE’s secure and high-performance data warehouse provides the most comprehensive and trusted aviation operations data available for mission-critical airline analytics and performance monitoring. Alaska Air Group operates Alaska Airlines and Horizon Air, which together with its partner regional airlines, serve more than 100 cities through an expansive network in Alaska, the Lower 48, Hawaii, Canada, Mexico and Costa Rica. Alaska Airlines, an industry leader in flight completion rates and on-time performance, has been ranked No. 1 in customer satisfaction among traditional carriers in North America by J.D. Power for eight years in a row. November 2009: Lumexis Corporation secures $15 million investment led by Perseus, LLC and wins large airline order. Read the full story. June 2010: Their first customer, flydubai… 44 B737-800’s will be post delivery modified in the US and that each seat will have a Lumexis display that acts as an entertainment portal with credit card swipe capability. Read the full story. April 2011: TRANSAERO Airlines of Russia, today joined Lumexis CEO Doug Cline in announcing the airline’s selection of Lumexis’s cutting-edge FTTS (Fiber-To-The-Screen[R]) technology, to begin immediately with full-cabin retrofit of four 373-seat Boeing 777-300s this year and three 522-seat B747-400s starting first quarter of 2012. The full story. February 2012: Pacific Royale Airways, today joined Lumexis® CEO Doug Cline in announcing the airline’s selection of Lumexis’ cutting‐edge FTTS® (Fiber‐To‐The‐Screen®) technology, to begin building out its fleet of A320 aircraft with five installations in 2012. Read More. April 2013: Leading international air carrier Turkish Airlines, winner of the coveted Best European Airline Award from Skytrax for two consecutive years, announced that it has selected Lumexis Corporation’s Fiber-To-The-Screen® (FTTS) fiber optic IFEC system for installation into two of its existing A330 fleet aircraft. The full story. April 2013: Lumexis’s Second Screen concept, we contacted Rich Salter and asked about the product, but first, a few words about what it is. The concept is so simple, you are probably using a similar concept at home while watching TV or reading this email. Sitting in front of almost any work or household screen (TV, computer, whatever) you probably have another connectivity device for checking mail, tweets, Facebook, LinkedIn, etc. In other words you are multitasking, because you can. The beauty of the Lumexis Second Screen feature is easy to see. The full Hot Topic. April 2014: Lumexis has taken a revolutionary step forward in terms of IFE touch screen aesthetics and functionality with the launch of its new Fast Adaptable Swipe and Touch (FAST) graphical user interface (GUI). The full story. April 2015: “Lumexis has taken another industry-leading step forward with the launch of its unprecedented new iPAX in-flight entertainment (IFE) product – a wireless-streaming in-seat system at the ultra-low price of $1,495 and weight of only 8.9 ounces per seat.” And lets face it, delivering a wireless connectivity cloud solution to seatback IFE is a lot cheaper than running cable bundles of wires to each seat via routers and division multiplexers. But, the really interesting story here is that Lumexis announced the price up front. We do not remember an IFE hardware provider ad that gave prices in our 22 years of publishing – so this is a first. Let’s read on “Some three-fourths of single-aisle aircraft fly on short-to-medium haul routes that could never before benefit from embedded IFEC,” said Lumexis CEO Doug Cline. “That paradigm is turned upside down with iPAX, truly the first cost-effective HD video tool for earning significant new ancillary revenue from offering a diversity of products and services.” Read the full story. 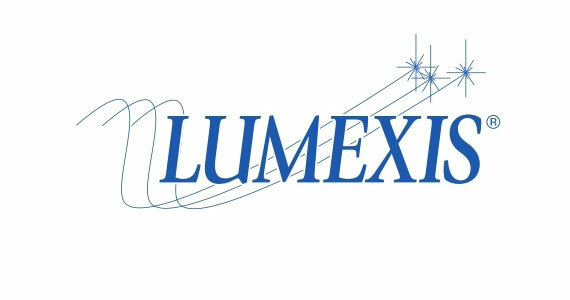 May 2015: Lumexis Corporation today announce that their Lumexis Fiber-To-The-Screen® (FTTS®) In-Flight Entertainment system has been made offerable for linefit on both the 737 NG and 737 MAX families of aircraft. Read the full story. September 2015: Lumexis Corporation today announced that their Fiber-To-The-Screen® (FTTS®) In-Flight Entertainment system has been selected by Caribbean Airlines for installation on their fleet of B737 aircraft. Read the full story. Additionally, we should note that the Lumexis Corporation has some of the best employees we have ever worked with. We would like to close this news piece by asking our readers who might have a requirement for some very good technical and business people to consider these folks as potential assets to your companies. If you need more information on how to contact Lumexis see the above press release; however, we will be happy to forward any contact information you require. Lastly, one of the best parts of working in technology is the association of smart and innovative people who can think how a technology could eventually become a product. In the case of Lumexis, one meeting in the 2004 time-frame clearly remains in our memory. This was a meeting with Doug Cline, Rich Salter and IFExpress. They carried a dissected future IFE computer that interfaced with the fiber optic data network, it had all the participants giddy with a visualized future of inflight entertainment. At the time, this was the newest thing ‘with virtually unlimited’ IFE bandwidth and the discussion and vision of the future could almost be seen as the meeting drifted into the evening. Make no mistake, It is meetings like these in aviation and information technology that are a creative joy to participate in, and events like this that make this industry worthwhile. Stay Tuned! Seattle, WA | July 18, 2016– Boeing [NYSE:BA] and Microsoft [NASDQ: MSFT] today announced an agreement to build a cloud-based platform for Boeing’s industry-leading portfolio of commercial aviation analytics tools. The two companies intend to work together to transition many of Boeing’s commercial aviation applications into the Microsoft Azure cloud. Boeing’s applications provide airlines, airplane leasing companies and maintenance suppliers with real-time information to enhance every phase of their operations – including purchasing and leasing airplanes and engines, training and scheduling crews, route planning, managing inventory and maintaining fleets. Shajrah | June 1, 2016– With a rapidly growing global network served from regional hubs across the Middle East and North Africa, Air Arabia is to introduce SITA’s next-generation passenger management system to extract even greater efficiency across its operations. Air Arabia carried close to 8-million passengers in 2015, serving 101 destinations spread across the Middle East, North Africa, Asia and Europe from five hubs in the UAE, Egypt, Morocco and Jordan. SITA’s latest passenger service system will help the airline better manage the boarding of passengers across all destinations while streamlining the turnaround of the airline’s aircraft. Through the Horizon® Passenger Management and Distribution portfolio, SITA will provide the airline with its latest departure control and weight and balance systems. Horizon® Weight & Balance will increase fuel savings for the airline by providing full load planning capabilities, including a graphical user interface framework, for all the functionalities required to load and dispatch an aircraft. This includes all legally required documentation for both airlines and ground handlers. SITA’s Horizon® Departure Control Services (DCS) is a fully integrated multi-host system for automated check-in, boarding and load planning and has been used to check in more than 167 million passengers worldwide. Air Arabia has also renewed SITA’s Type B Messaging Service, underpinning every operational aspect of the airline business by facilitating the sharing of crucial operational updates across the globe. EBACE Geneva, Switzerland | May 24, 2016– SD Pro brings together patented Satcom Direct (SD) products and services with best-in-class integration partners to deliver real-time data about the aircraft via a single interface. SD Pro lets you view and manage flight logs, performance data, scheduling, trip planning, maintenance information, operating history, and more. Demos of the new technology are available at Satcom Direct’s EBACE exhibit S115. SD Pro aggregates information from multiple sources the flight department is already using, into a web-based display, so that every member of the team can access it from their desktop, tablet or mobile device. Designed to be a single point of access, the SD Pro interface displays the information via modules on its customizable dashboard that can be tailored to meet the varying needs of flight departments and individual team members. Operators can choose which modules to add to the SD Pro dashboard based on their operational requirements. “We conceived the idea for SD Pro when we saw how members of aircraft management companies and flight departments had to access numerous information sources, multiple screens, and disparate access points to do their jobs. SD Pro changes that by bringing together many of these functions into a modular dashboard. We’ve already partnered with a number of providers to integrate the systems flight departments use most – and more partnerships are in the works,” said David Greenhill, President of SD. SD Pro not only brings together information from multiple third-party providers, it offers powerful data capture capabilities from its value added services, FlightDeck Freedom® (FDF) premium datalink service, and the Satcom Direct Router (SDRTM). This allows the extraction of operational data from the aircraft such as telemetry and position data, fuel indications, operational parameters and more. Revolutionary SD Pro technology processes the data and securely stores it in the state-of-the-art SD Data Center. SD Pro is designed to grow, with additional modules in development to deliver the functionality flight departments require. Raunheim, Germany | May 23, 2016– Lufthansa Systems today announced that it will be presenting selected solutions from its Operations Solutions division at the EFB Users Forum in Munich this week. One highlight is the new Tracks module for the Lido/eRouteManual electronic navigation charts. Lufthansa Systems is not only an exhibitor this time, it is also the main sponsor of this important industry event, which will be attended by around 300 sector representatives from May 24 to 26. Lido/eRouteManual provides electronic navigation charts for all phases of a flight. The new Tracks module visualizes historical trajectories for the next planned route in Lido/eRouteManual. This means that along with the currently planned route, the solution displays which routes were actually flown in the past for the chosen leg. Lufthansa Systems has worked with Honeywell Aviaso to integrate data exchange between the Lido/eRouteManual and Honeywell Aviaso Fuel Efficiency software products. The Honeywell Aviaso Fuel Efficiency software collects the historical trajectory data, analyzes it and compiles a data packet for the routes to be flown which can then be displayed as a separate layer in Lido/eRouteManual. This gives pilots advance notice if there were directs – i.e. shortcuts – for the planned route in the past so they can actively request these from air traffic control (ATC) if desired. This can shorten the flight route, which saves time, fuel and, ultimately, money. Each year, around 570 million passengers fly on planes using navigation charts from Lufthansa Systems. Airlines around the world use Lido/Navigation solutions. In addition to the Lido/eRouteManual, Lido/mPilot and Lido/AMM navigation solutions, Lufthansa Systems will present its NetLine/Crew crew management solution, the NetLine/Load weight and balance tool, the leading Lido/Flight flight planning solution and the mCabin crew app in Munich. Lufthansa Systems is thus presenting itself as the only independent airline IT provider with a portfolio covering the entire spectrum of operations solutions for fleets of all types and sizes. “We have numerous partnerships with leading providers of avionics systems, so we can always meet our customers’ individual needs independently and optimally,” Dimnik said. The EFB Users Forum takes place twice a year and is one of the most important events in the EFB industry. At the Forum, providers and aircraft manufacturers demonstrate their latest developments and discuss the technical and operational trends surrounding the Electronic Flight Bag with airline representatives. Raunheim, Germany | May 17, 2016– Lufthansa Systems today announced that the four members of the Thomas Cook Group Airlines are managing their flight operations from Belgium, Germany, Denmark and the UK with the NetLine/Ops ++ operations control platform. They are also using the NetLine/Sched schedule management solution to optimize their schedules. Following the successful cutover at Thomas Cook UK last year, the remaining subsidiaries – Condor, Thomas Cook Belgium and Thomas Cook Scandinavia – migrated to the innovative operations solutions over the past months. “The Thomas Cook Group Airlines consist of four airlines with different cultures and experiences as well as different processes which have been evolved historically. The successful implementation of the new platforms is a key milestone in terms of harmonizing our processes and acting like one Airline,” said Peter Hauptvogel, Director IT at Thomas Cook Group Airlines. NetLine/Ops is now being used by almost 70 airlines around the world, 31 of which have already deployed NetLine/Ops ++. This new-generation solution offers Operations Control Center (OCC) staff full transparency around current flights and potential operational disruptions because airlines need to be able to manage schedule changes – both planned and unplanned – in a way that minimizes their effect on passengers. The Thomas Cook Group is the first multinational airline group to manage four international OCCs using a single operations control platform. The operations control solution offers functions which facilitate information management and enable a higher degree of automation. As a result, the airline will be warned early in case of potential disruptions that might occur due to weather or longer maintenance periods. This allows operations controllers to take preventative action in order to avoid delays or even cancellations, thus improving the punctuality of flight operations. Delays cost airlines more than USD 26 billion worldwide. According to the latest OAG (Official Airline Guide) report, airlines that use NetLine/Ops or NetLine/Ops ++ are among the most punctual in the world. The NetLine/Sched schedule management solution supports airline scheduling. Airlines must regularly adjust their schedules in response to competitors or updated sales and marketing plans. This places high demands on their scheduling system. It must be capable of fully supporting the development, management and implementation of alternative network strategies. NetLine/Sched gives airline employees access to high-quality optimization tools which enable them to take both operational and economic aspects into account in order to improve schedule quality. NetLine/Sched also helps evaluate “what-if” scenarios and automatically calculates their commercial efficiency. The schedule management solution is currently being used by nearly 60 airlines worldwide.